Max is a retired attorney and partner in the Tax Department of the law firm Skadden, Arps, Slate, Meagher & Flom, LLP. 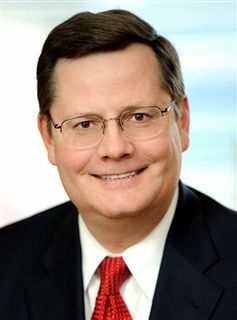 Max has served as the chairman of the Corporate Tax Subdivision of the Chicago Bar Association’s Committee on Federal Taxation and has lectured frequently on various topics related to federal income taxation. He is also a contributing author to the Practicing Law institute’s Federal income Tax Seminars. Prior to attending Law School, Max served on the staff of the Governor of Iowa for three years. His primary area of responsibility was education issues, thus exposing him to education and education administration. Max earned his B.A. and M.P.A. from Drake University and his J.D. from Yale Law School. His volunteer roles have included the Drake University Alumni Board, serving as a Board Member of St. Leonard’s House, a halfway house for convicts returning to society in Chicago, and various activities at Good Shepherd Church and youth baseball. He has been a member of the St. Francis High School Finance Committee since 2009 and a member of the St. Francis High School Board of Directors since 2010.